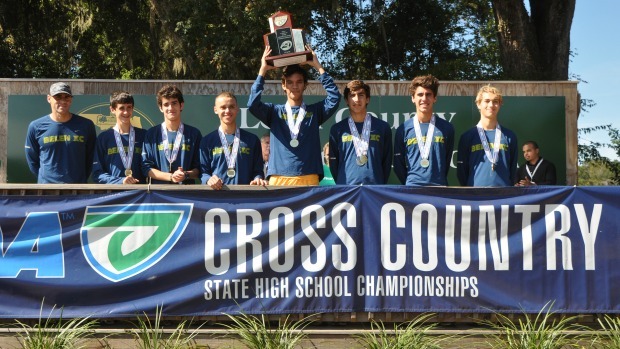 Belen Jesuit has been a powerhouse in boy's cross country over the last decade. The Wolverines have won seven of the last eight state titles, including 2013 where they beat by runner-up Chiles by 30 points. Coach Frankie Ruiz's squad loses three of it's top four, but brings back Ryan Rodriguez, who has experience being on previous state title teams, and will lead a group of juniors, which Ruiz calls the strength of this team. The team will face a tough test in November from the likes of Chiles and Leon who both have very skilled teams. Find out more about Belen and their quest for number eight in our Scouting Report. How did your team fare last season and what do you take away from 2013? Last year's team had a solid season with a great ending at the state meet. We fell a little short on some of the individual goals but the end turned out to be what we set out to accomplish. As far as our takeaways go, we most certainly learned about the importance of depth all season long. It is imperative that we plan for the circumstances we can't control by focusing on depth outside of the summer's top seven. In addition we also learned the importance of working the hills all season long so that we can end strong at the state meet. What has the summer training been like? Some of the training has evolved, but it is still based on the program's fundamentals which are based on quality and reasonable smart mileage. Thus far we have had our fair share of bumps and bruises but as a whole the team has captured the essence of the training and put away the quality mileage for use throughout the season with the end results best used in the post regular season. We have gone to our own camp in North Carolina with the entire team and that experience continued the over 25 year tradition we have had of summer training trips. The eight day camp was filled with good workouts and solid team bonding activities. How is the team looking this year? What are your tentative top five and top seven? 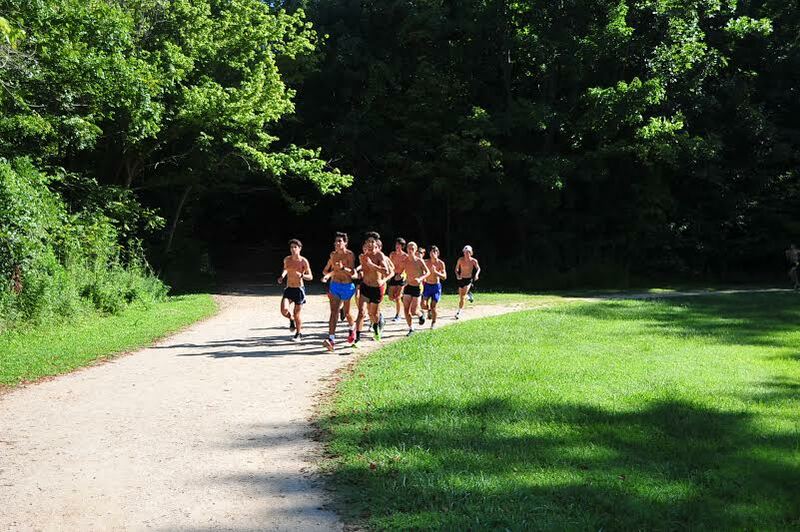 The team is young yet filled with quality miles from a good summer of training. We understand that we had a large exodus of seniors after last season, however, the runners have been mentored by some of those same runners to carry the working tradition into this season. The team seems eager and almost ready enough to put some of its young talent to race to add competition miles to the training miles. The tentative top five is still way up in the air as our various time trials have resulted in varied orders. It is with confidence that we have senior Ryan Rodriguez at the helm with a young supporting cast made up of a couple of up and coming freshmen, Chris Garcia and Josh Collins alongside a strong contingency of juniors: Jaime Lopez, Jorge Gomez, Bruno de Zayas and Nicolas Roca. Behind these guys we have a couple of seniors also in the mix for a top seven maybe even a top five spot. As in past years we hope to have the top 7 pack constantly up for grabs by the rest of the guys on the team. What are the strengths of this team? The strengths are many, but probably the best to point out is that of its junior Class. We have strong united group of juniors that the team can rally around and look its current work for inspiration. This junior class loves the sport and is committed to enjoying it while working the tails off. The team also has the footsteps of Ryan Rodriguez to follow in, and being that Ryan has been on some great teams throughout his career that should translate into some true near and long term results. This team is patient and willing to put in what it takes to make the most out of the season. What are the team goals for 2014? The team goals are to run the entire season one meet at a time with intensity and focus on being the best team on the course on that given day. We prefer to approach each meet the same as we believe in a full competitive season that isn't only focused on a few key meets. We look to face our competitors at their best at each race and hopefully at our best regardless of the meet during the season. Our goal is still to be a serious contender for the state championship and bring the best out of our guys all season to help us achieve that.